Business has recently started to mobilize — more and more companies understand that a mobile app becomes a convenient tool for increasing customer loyalty and brand awareness. But that’s not all: a mobile app can bring in real revenue. The most important point is to choose a mobile app monetization strategy. Then you should decide how to implement the monetization strategy and include it in UX before app release. Free mobile apps rapidly grow in audience. App owners collect and analyze user data and give the statistics to potential advertisers for targeted advertising within the app. Facebook and Shazam successfully use this scheme. A so called freemium app includes a set of free features and some additional options are available for money. 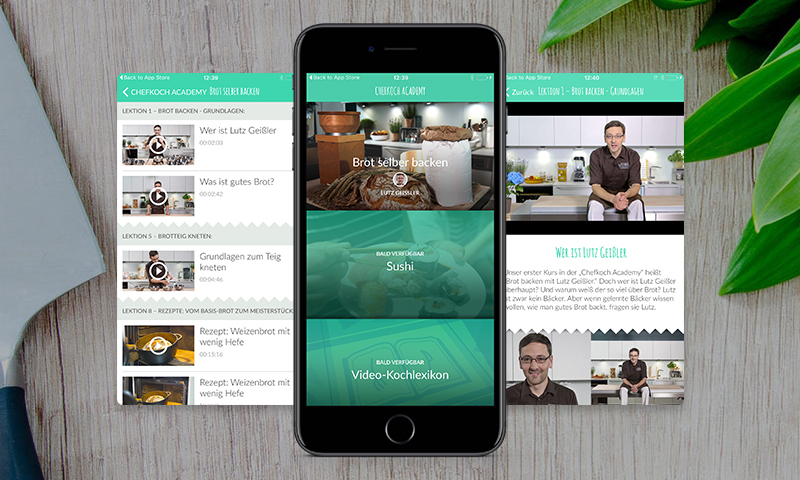 For instance, Chefkoch Academy app is an iOS app for the popular German cooking portal, so that its customers learn how to cook different dishes via video courses and professional lectures. A basic course is available for free but to see other videos users have to pay. A premium app is the most obvious app monetization strategy. But how do you make users buy an app? For instance, you can announce killer features of the app which are irresistible. Dark Sky is an illustrative example of a premium app. As developers say, the app provides users with super precise — to a minute — forecasts about snowing or raining as well as daily and weekly weather forecast based on the user’s geolocation. This way of app monetization implies payable features within the app: real or virtual. It’s implemented in most dating apps such as Free for Lunch. You can buy an extended subscription which guarantees VIP-status, specials, presents for friends and opportunity to turn off the ads. The point of sponsorship is that an advertiser rewards users for some of the in-app actions and the app owner gets a percentage of the reward. Example: the mobile app RunKeeper motivates users to make some number of steps or to go some distance by a bicycle. Today users feel comfortable in a complicated app system, and purchases within the app don’t seem strange. This is the reason for developing a mobile app with monetization options. Given that you can combine monetization strategies for a specific business.